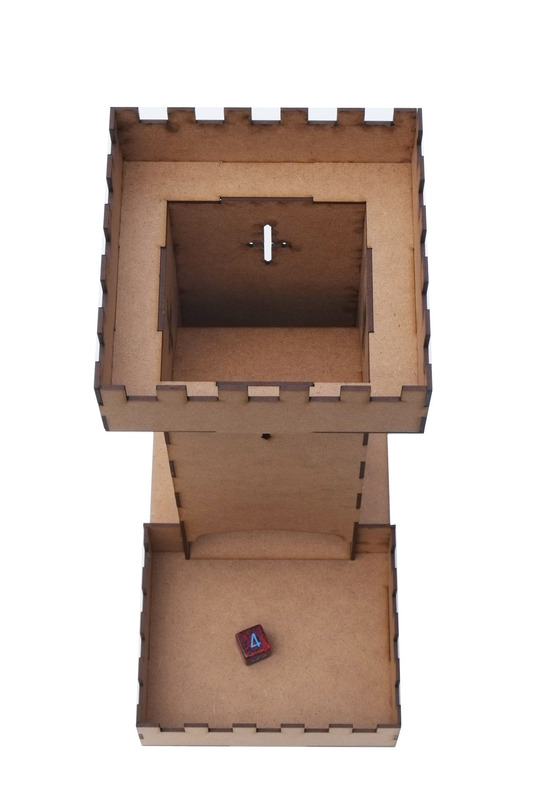 Our dice tower doesn't guarantee a six every role but it does offer a convenient way for you and you're friends to roll numerous die. The tower has an upper angled plate and a large bottom angle so the die are thoroughly tumbled bore coming out and being caught in the bottom section. The tower measures 190mm deep x 130mm wide x 265mm high. The throat allows standard 12mm dice and is 22mm wide. The tower needs assembly with PVA glue and painting if you wish.